The figure of Ghost In Space? Astronomy Science ~ object looks very spooky in the sky same like a ghost. 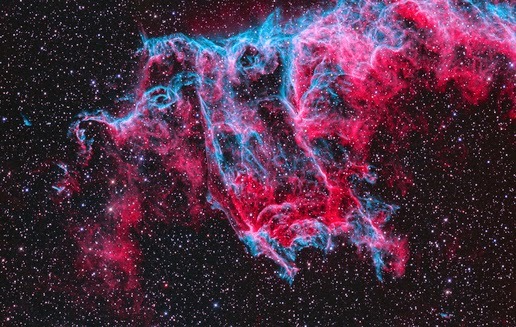 This Spooky image is a picture near eastern Veil Nebula or Eastern Veil (also known as Caldwell 33). The actual distance is not known, but the object is expected within 1,400 light years from planet Earth in the constellation Cygnus. Veil Nebula itself is the remnant of a supernova explosion, the debris cloud that develops from the death explosion of a massive star. In the composite image data recorded through wide and narrow band filters, emission from hydrogen atoms are shown in red while the emission of oxygen atoms in the blue-green color. 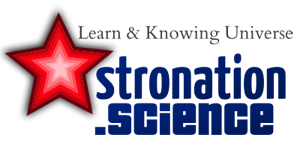 Astronomy Science: The figure of Ghost In Space?